After working a year and a half with Benjamin Mitchell I was just used to all those fancy techniques to gather and analyse data of the work we do. So when I joined the new team as an IT consultant it was quite a culture shock to me. There was a Scrum process in place but people were just working in silos. At stand-up we used Jira and filtered the tasks per person. I soon came to the conclusion that the whole focus and work is done in silos and we totally miss the big picture and even the sprint goals. So I remembered all the good stuff from my previous team and suggested to use an offline scrum board. The first reaction to it was that they had already tried it but it did not work for them. Fair enough. However I was not really pleased with this answer. I simply suggested it again and again. Finally after 2 sprints we agreed to use the offline board. 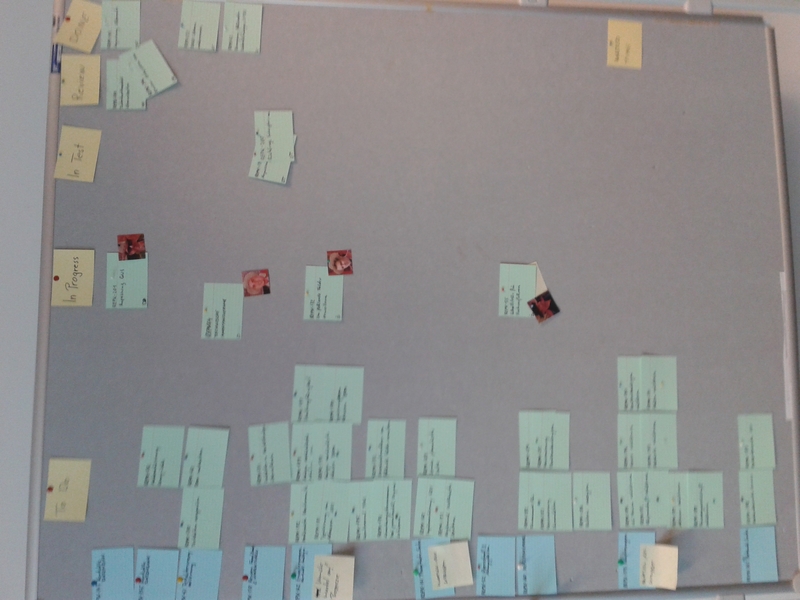 I took the responsibility and after the planning session I wrote down all stories and tasks and put them onto the board. All of a sudden I realised that people went to the board and started to talk about the tasks and connections between tasks. The Scrum master also came up with some avatars to stick to the cards. I also introduced the technique of writing letters onto the card to study the flow. 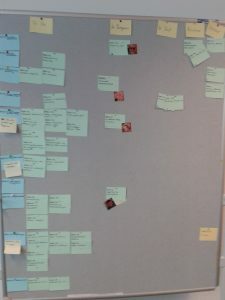 See Benjamin’s blog about How to study the flow or work with Kanban cards. Although I am not the Scrum master of the team I take a bit of responsibility and try to help the team. I can not tell you what the outcome will be but there is surely gonna be a follow up post about it.